April 11, 2019 Do you have a worn off Honda emblem on your steering wheel? April 14, 2018 Carsoda will help you to create a sweet ‘second home’ in your car in 2018. Nowadays not only man can modify their cars. 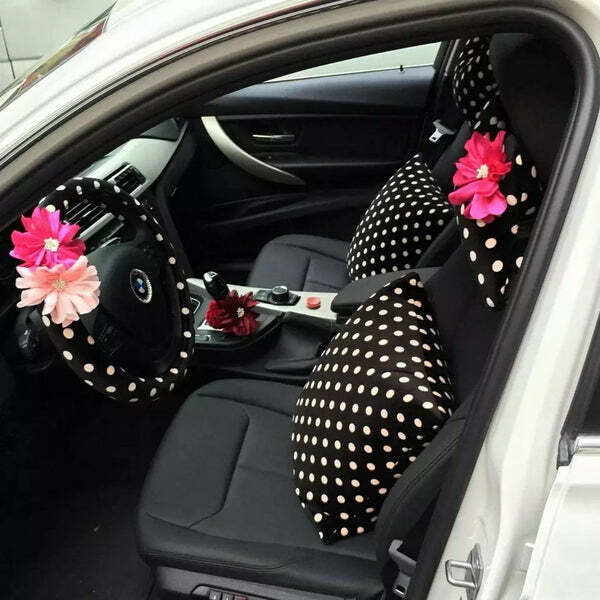 Where can a girl, who absolutely loves her car too much, shop for the girly and statement-making set of seat covers, steering covers, back seat organizer, or even car trash cans for it, which are girly and unique? Carsoda.com has a wide range of appealing options for those who wish to purchase girly car accessories. With girls today wanting to “bling their ride”, a wide range of pretty, cute, bling, sparkly, loud, neon, funky, (and any other adjective that truly exemplifies being girly) accessories are available. With car accessories for girls gaining a lot of popularity recently, many leading motor vehicle accessory stores have begun to stock up on a variety of fun, creative options for all ages. Online sites and stores which are dedicated to catering to these products have sprung up in the last few years. 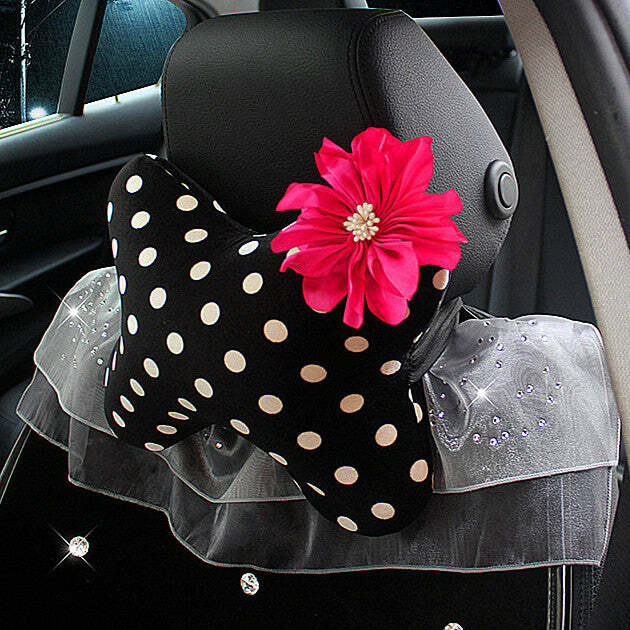 From steering wheel covers with flowers that have flowers or bows on the side for the interior, girly car seat covers with rhinestones, bling air vent decorations to pink crown , customized license plate holders, bling rear view mirror accessories and customized car center console cover. Girls today have a lot of options if they want to turn their plain-looking vehicle into a statement that can make a lot of heads turn. If you are fascinated, and cannot wait to dress up your personal car, or you just recognized what a great gift something of this sort would be for the special women in your life, we can help your personalize with a variety of unique products which you can select from to fully customize your car. A woman knows no greater happiness than that of truly being empowered, and with her car being a representation of her free soul, wanting to make it reflect her own inner style is nothing but a natural tendency. So do not hold back in spoiling yourself, your car, and the people who ride with you, with all the amazing mind-blowing accessories to embellish your motor vehicle with. And men, make your mother, wife, girlfriend, sister, or daughter feel on top of the world when you give them something to spruce up her car. Having a car is really great but personalizing it to match your style is a different feeling altogether. That's why boys like to go crazy kitting their cars but now, women who want to give a feminine touch to their set of wheels have plenty of choices too.